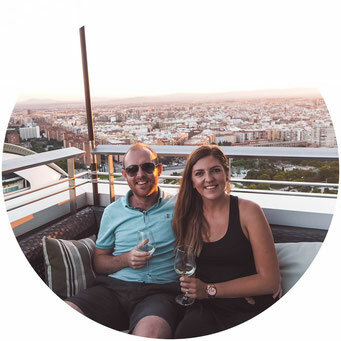 We've made no secret of the fact that Vietnam is one of our favourite countries we've ever visited and there are a few reasons for this. Vietnam is such a diverse country, from the green hills of Sapa in the north, to the bustling city of Ho Chi Minh in the south. 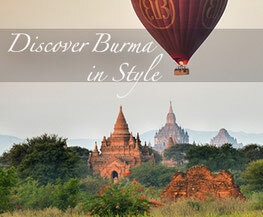 It's a country where tradition meets progression and for us, it was a fascinating place to travel through. But, there is one other reason we loved Vietnam though; The Food. To this day, Vietnamese food remains one our favourite cuisines in the world and wandering around the streets of Hanoi or HCMC, sampling whatever was being fried on a busy street corner was like Disneyland for us. We tried dishes we couldn't even pronounce, dipped an endless number of crispy spring rolls into delicious sauces and ate just about everything that came in a clay pot. 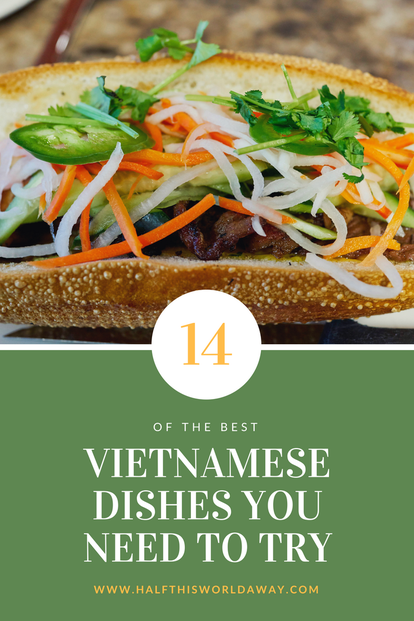 We've asked some fellow travellers and Vietnamese food enthusiasts to share what they consider to be the best Vietnamese dishes! 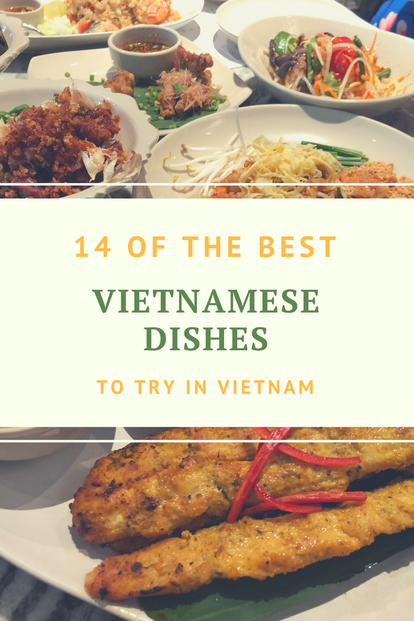 From egg coffee to secret family recipes, these are the best dishes in Vietnam that you need to order on your next visit! When researching Vietnamese cuisine for an upcoming trip I noticed that pork, eggs and seafood dominate the scene and I don't eat any of them! Dreading the thought of surviving on boiled rice for a week, I dug a little deeper. And I found Bun Bo Nam Bo. What is it you ask? 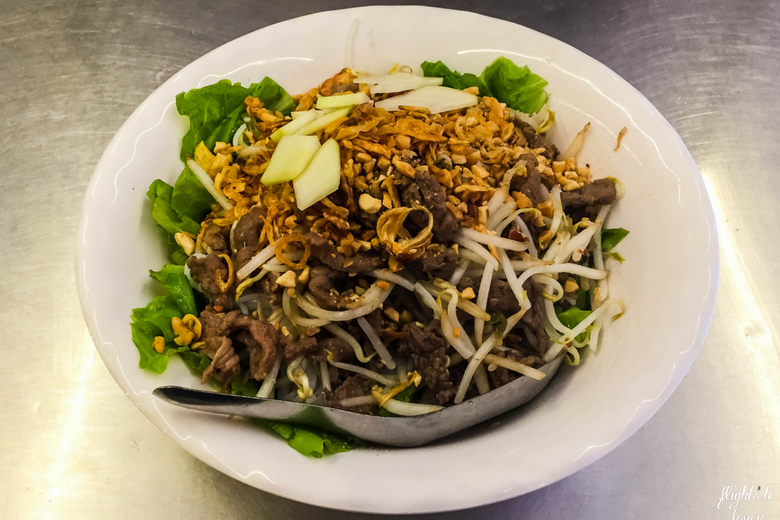 Literally translated Bun = noodles, Bo = Beef, and Nam Bo = sphere of the south, so Bun Bo Nam Bo is essentially beef with noodles cooked in the southern Vietnamese style. 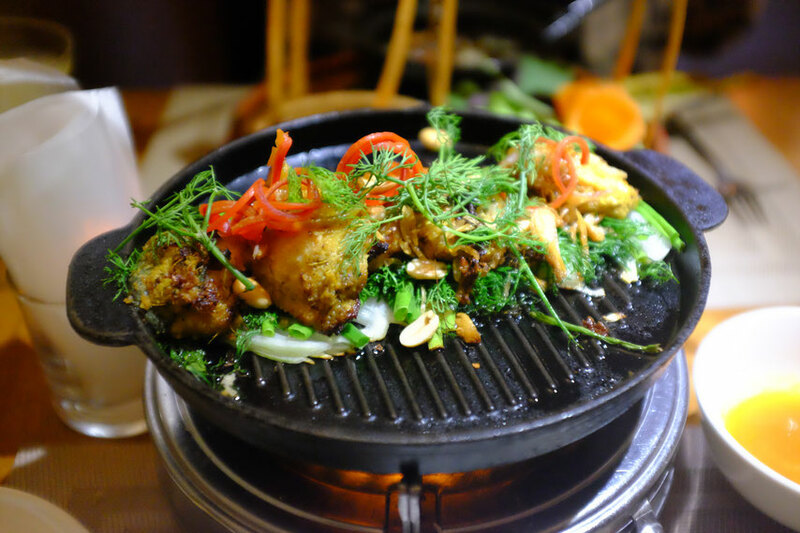 I first tasted Bun Bo Nam Bo in the north of Vietnam at Bun Bo Nam Bo Hanoi so I was unsure whether it would be true to its southern roots but I was not disappointed. In fact, I was blown away. The menu describes the dish as a salad, but it's unlike any salad I have ever had. It is a layered dish of broth, marinated beef, vegetables and crushed nuts. The light but complex broth is the hero of the dish, and as I made my way through the deep bowl I tasted the sweetness of sugar, sourness of lemon and the heat of chilli. It was truly a delight and only cost $50,000 VND for a huge bowl that neither The Hubs nor I could finish. Bun Bo Nam Bo Hanoi is an extremely popular eatery and does not take bookings so try to visit outside of peak meal times or be prepared to wait for a table, it's so worth it! 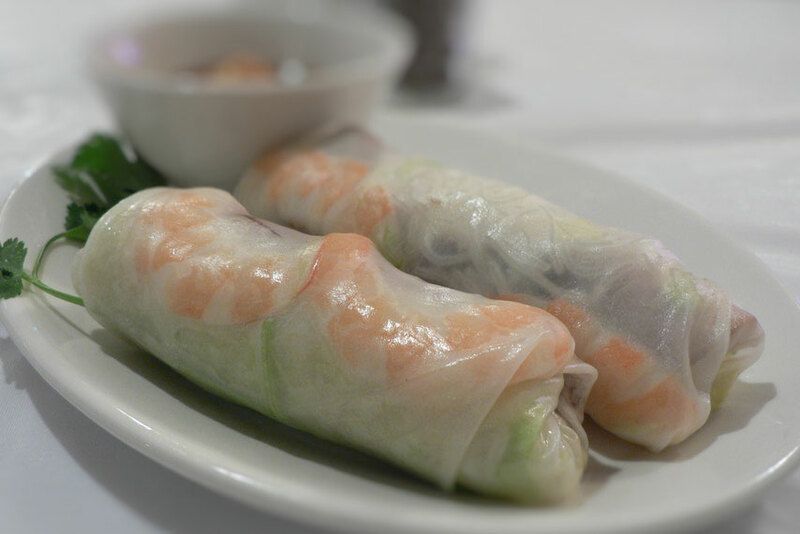 Gỏi cuốn (often called Summer Rolls or Vietnamese Spring rolls) is a simple dish that's made by stuffing sheets of rice paper with ingredients like meat, vegetables, and vermicelli noodles, and rolling them up into a cigar shape. They're similar to a Chinese spring roll but (although it is possible to fry these) they're not considered to be an uncooked spring roll as the ingredients are different; if you did that, you would have made a chả giỏ, which is the Vietnamese version of the spring roll. I learned to make summer rolls at a cookery class in Hoi An, and have been making them ever since. The dish tastes extremely fresh and the vegetables give it a nice crunch. They're very easy to make; all you need is rice paper which is available from most Asian supermarkets, and whatever ingredients you plan to use. The rice paper is then dipped in water and softened until it's pliable, before being stuffed and rolled up. Once you're ready to eat you can have them as they are or dip them into a dipping sauce. Chả cả is a dish unique to the city of Hanoi. The main ingredient is local Red River fish (carp or catfish); this fish is marinated with tumeric and dill. Other ingredients of this delicious dish are rice noodles, spring onions, various greens, peanuts and a dipping sauce. Sometimes you will also get rice paper rolls to wrap the ingredients in. I personally love the wrapping, it makes the whole eating experience a bit more fun! The taste of the dill and tumeric spiced fish is very fresh and moreish! The most famous place to eat Chả cả is called Chả cả La Long in the Pho Chả cả street. There, they have some fantastic Chả cả and the chef, Hoang Duong was one of the 16 chefs invited onto the Top Chef Vietnam in 2014 where he finished 4th place. 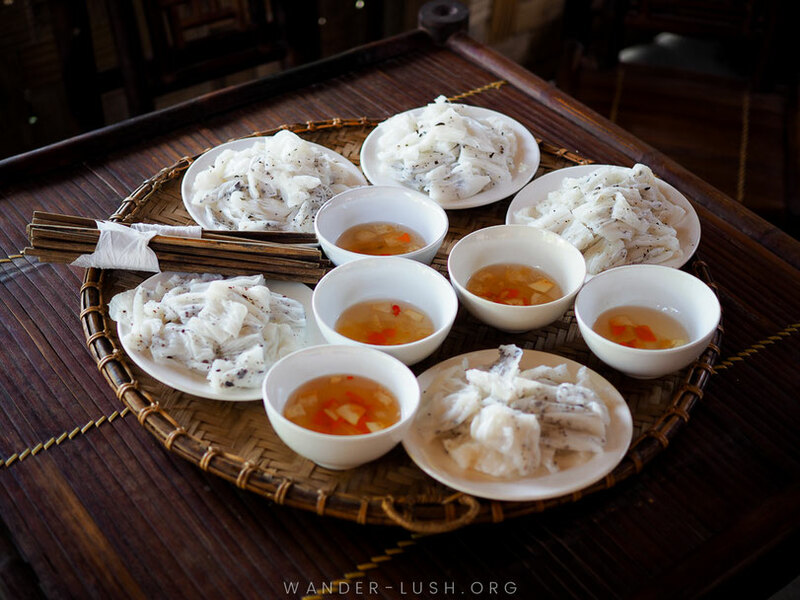 White Rose is a local speciality of the beautiful UNESCO World Heritage town of Hoi An. 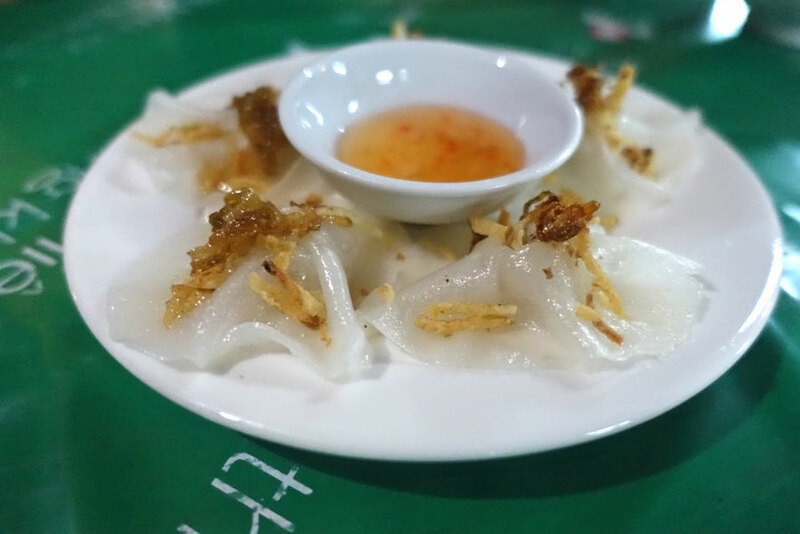 They are rice flour dumplings with shrimp or pork filling inside, pinched together to resemble a rose, and often topped with fried shallots in a sweet and served with a spicy shrimp based sauce. We love the texture of the gummy rice paper dumplings with the contrast of the crispy shallots and the sweet dipping sauce. When in Hoi An, we often order it as an appetiser. White Rose dumplings must be made with water from the town's ancient well and one family has held the secret to the recipe for three generations. 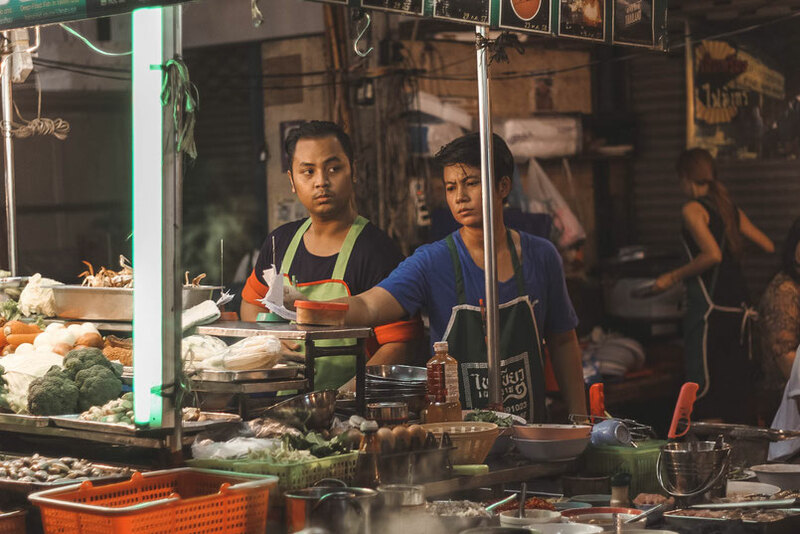 This family supplies all of the restaurants in Hoi An with the speciality dumplings, so you can try the dish at almost any Vietnamese restaurant you choose in town. Vietnamese egg coffee is one of Vietnam's most famous drinks, and is especially popular in Hanoi and Ho Chi Minh City. The name makes it sound potentially gross or gimmicky - but hear me out, it's one of my favourite drinks and absolutely worth a try! Egg coffee is basically regular hot coffee, but topped with a thick whipped, creamy mixture of egg yolk, sugar and condensed milk. It has a the silky, heavy texture of raw meringue. I know this coffee isn't for everyone, but I absolutely love it and find it delicious, it's more like a dessert or even a light meal than a coffee. Egg coffee was apparently invented during the war when milk was scarce, so the creamy whipped eggs were a way of replacing the dairy in coffee. 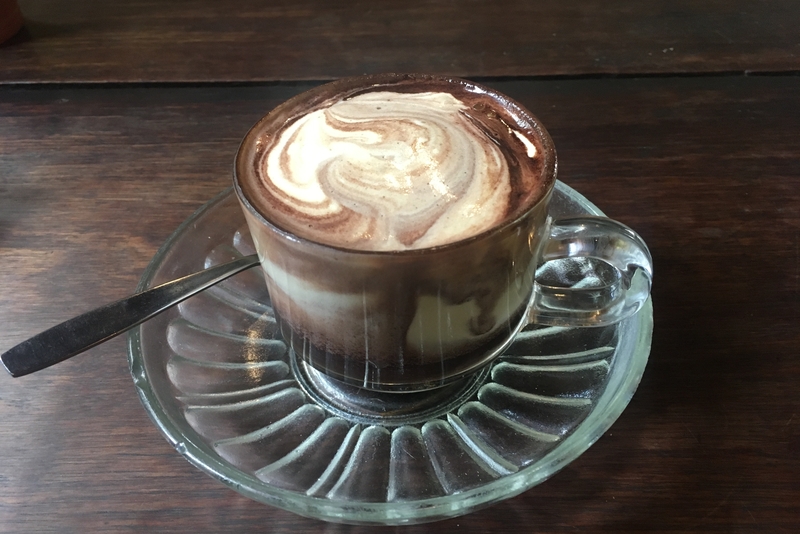 I first tried egg coffee at a charming cafe tucked away in a side alleyway of Ho Chi Minh City called Gỏc Hả Nối, in the central backpacker area of Saigon. The coffee shop itself is really cute and I went in twice because I liked it so much and also tried the egg hot chocolate there; it is also good but doesn't top the original coffee option. I also had a great egg coffee at Madam Khanh the Banh Mi Queen in Hoi An. Note: If you have concerns about drinking partially raw off then don't try egg coffee, because this could be an issue but I had many egg coffees during my 6 week Vietnam trip with no ill effects. Bảnh cuộn is a stuffed and rolled pancake from Northern Vietnam and it is one of my favourite street foods. During the year-and-a-bit I've spent living in Hanoi, it became my go-to meal. Bảnh cuộn is prepared by spreading fermented rice flour batter over a piece of fabric that's stretched over a pot of boiling water. Once streamed through, the paper thing pancake is then stuffed with finely chopped mushrooms, ground pork and chives before being folded or rolled. A typical serving of bảnh cuộn consist of two of three pancakes chopped up into bitesize pieces. There are a few different ways to eat Bảnh cuốn, I like mine topped with a runny egg and served with giỏ lua Vietnamese sausage (my favourite is the pork sausage with cinnamon) on the side. The mild flavours make it perfect for breakfast. Like other street foods, bảnh cuộn is made fresh to order and the way the vendor creates the pancakes, applying the batter to the fabric with an artful, effortless swoosh (it's all in the wrist), is one of the coolest cooking demonstrations you'll see on the streets of Hanoi. Bun Bo Hue is a super tasty bowl of noodle soup that originates from Hue, Vietnam's imperial capital. Despite the name of the dish including Bo, which means beef, the meat component of the dish is quite varied. This tasty dish is assembled by adding the noddles and cuts of meat, which can include pork, beef, little balls of shrimp and crab, and cubes of congealed pigs blood, to a bowl before adding the broth. The broth, which has a complex flavour and is the hero of the dish, is made by using pork and beef bones, a combination of lemongrass, pineapple, chilli and shrimp paste, with the red tinge to the dish coming from the addition of annatto oil. This is one of my go-to soups when in Vietnam, the ingredients result in a soup that has a deep flavour, yet is citrusy, a little spicy, a touch sweet and has a long and pleasing aftertaste. As with all soups in Vietnam, a plate of limes, chilli, herbs including spring onion, onion, banana blossom, mint amongst others, accompany the dish allowing the addition of more flavours and textures to suit all palates. I never get bored with it. Bột chiên is a popular street food dish in Vietnam, generally eaten as a late afternoon snack and the literal translation is "fried dough". The dish is often compared to Malaysian carrot cake which seems strange as we found is more reminiscent of scrambled eggs mixed with hash browns or country-style potatoes (although no actual potatoes involved). Bột chiên is made of a rice flour cake that is cut either into cubes or thick rectangular strips and then fried so they are crispy on the outside and soft on the inside. A fried egg is added to hold it altogether casserole-style, and green onions are sprinkled on top. A heading plate of shredded papaya, daikon and carrots is served on the side. It also comes with a small bowl of soy cause mixed with chilli that can either be poured over the top or used for dipping. 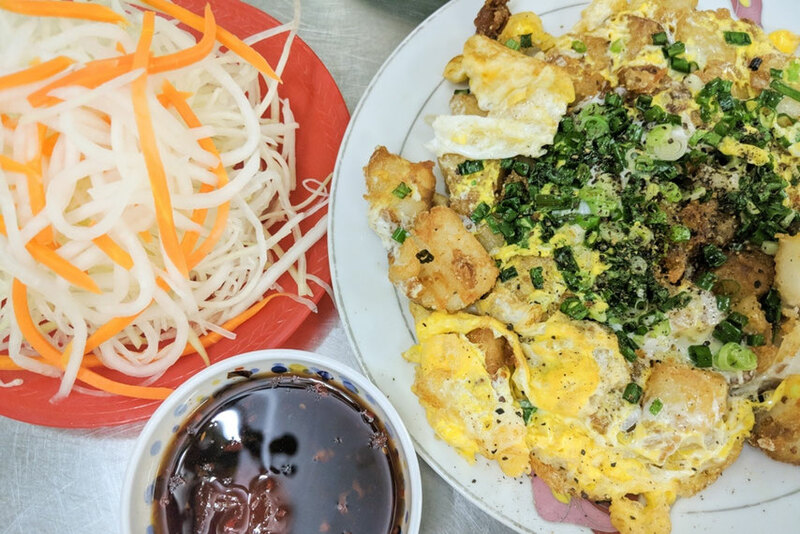 We tried this delicious dish at Quản An Van Thảnh, a simple and unassuming local spot in Ho Chi Minh City. A large plate of bột chiên will cost about $30,000 VND ($1.50 USD), this with a plate of spring rolls, a couple of local beers and you've got the perfect afternoon snack. Some of your might already know this, but back in 2016 former President Obama made a visit to Hanoi and had bun cha together with Anthony Bourdain. The restaurant they dined in was Bun Cha Huong Lien, understandably business at this restaurant was booming after their visit. Bun Cha is a typical Hanoi dish made of vermicelli noodles, grilled pork, dipping sauce made from fish sauce and a bunch of greens. It can be found all across Hanoi any time of year. Note that recipes can vary a lot amount different restaurants, the best way of course is to observe where the locals go or check TripAdvisor, I prefer the former way though. When in Vietnam you simply cannot leave the country without eating Bảnh mi. 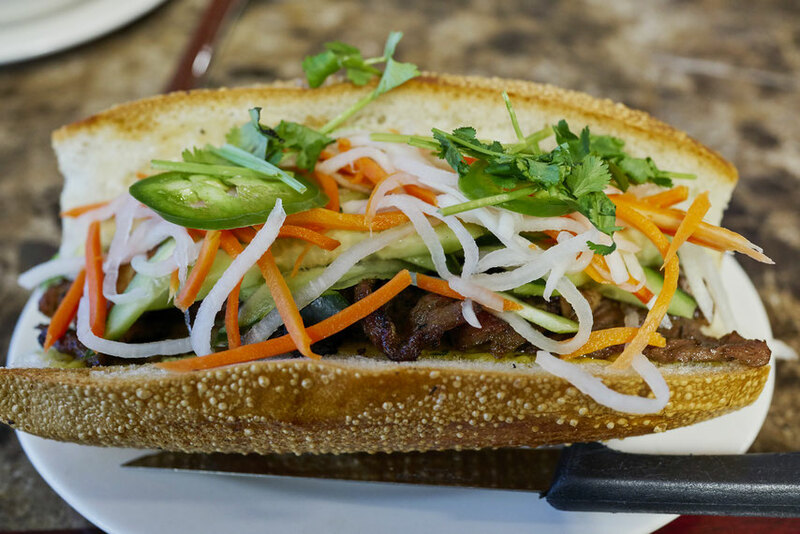 Bảhn mi is a Vietnamese sandwich that consists of a baguette filled with various, delicious ingredients. It can be filled with whatever you like such as veggies, coriander, different kinds of meats and you choice of sauce. It is typically eaten with meat, veggies and lots of coriander, but it can also be made vegetarian or without coriander if you prefer it this way. 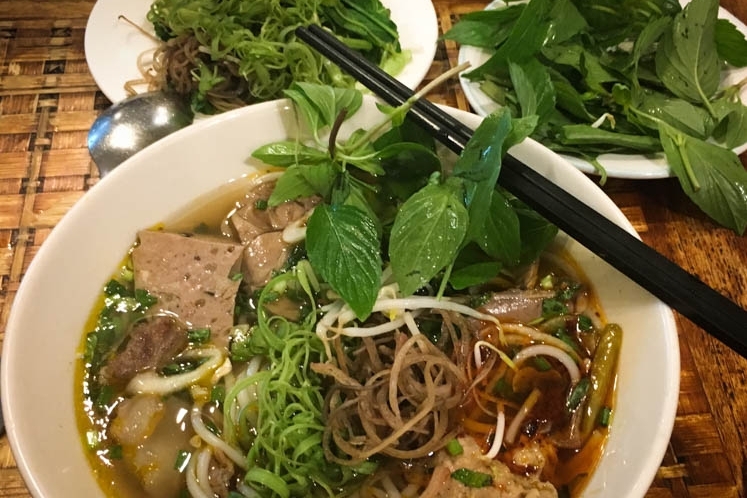 They are just as popular among the locals as the tourists, and is one of the most popular things to eat in the country- so you have to eat at least one bảhn mi during your stay in Vietnam. The bảhn mi sandwiches are sold almost everywhere in Vietnam, usually in small stands around the cities. They are cheap, delicious, and a great lunch if you need something fast and delicious to eat on the go. Bỏ ne is traditionally a Vietnamese steak and egg breakfast dish, but that did not stop us eating it for dinner frequently during our lengthy stay in Nha Trang. 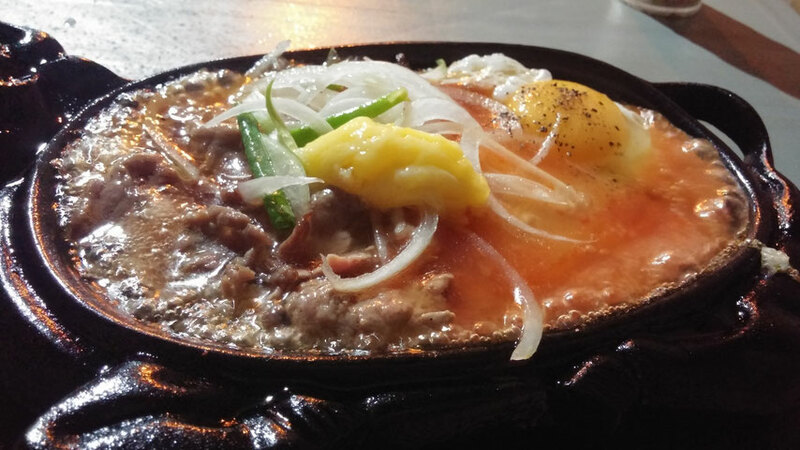 Served on a sizzling hot plate with a tender piece of sweet marinated steak, an egg and onions. This dish continues to cook after it's brought to your table and is served with a crispy, white baguette (bảhn mi). We found a local bỏ ne restaurant off an alleyway where tiny kid-sized plastic chairs and tables were set up outdoors in the dirt at a former demolition site. Our then 3 year old son loved bỏ ne and he frequently requested it for dinner. He aptly named this place "The Dirt Restaurant"
I enjoyed bỏ ne because it's a break from the usual flavours of Vietnam that we were eating every other day. And because it's not spicy and so yum, it makes for an excellent fussy-child meal. Morning or afternoon, you will find deliciously rich ca phe sea da, or Vietnamese iced coffee served at street cafes and high-end restaurants all over Vietnam. I first tasted this refreshing caffeine boost on a trip to Hanoi when we were adopting our daughter who was born in Vietnam. It quickly became a regular treat once or twice each day! The coffee is prepared in a unique, multi-part individual coffee pot. Roasted coffee aroma rises from the silver little pot sitting atop a glass of ice. At the bottom of the glass is a thick layer of sweetened contended milk that slowly starts mixing with the dripping coffee and melting ice. Occasionally you can also find ca phe sea da served hot on a cool winter morning in the north, but most often it is the iced version popular with Vietnamese and visitors alike. 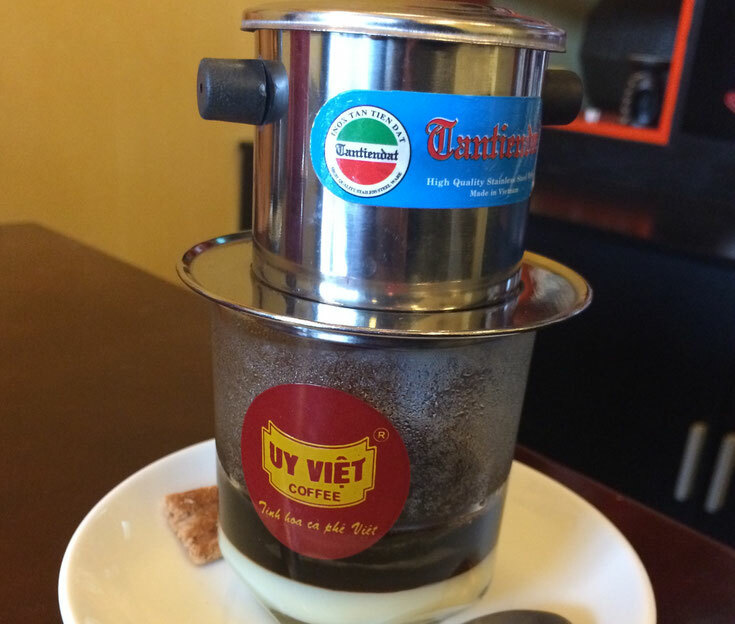 On your next trip, visit a local market and pick up a Vietnamese coffee maker that you can make any time once you are home to bring you back to your travels of Vietnam. Vietnamese street food would have to be close to the best street food in Asia, it is light and fresh and very tasty. It doesn't matter where you visit you will always find "cha gio", aka Vietnamese pork spring rolls. You can purchase them at most street vendors and in nearly all of the restaurants. They are a great snack for the kids when you are struggling to find something for them to eat or they are having a picky day. Vietnamese cha gio are filled with pork and you'll often find spring onion, carrot and fresh herbs wrapped in vermicelli. Don't think that they are your average spring rolls! 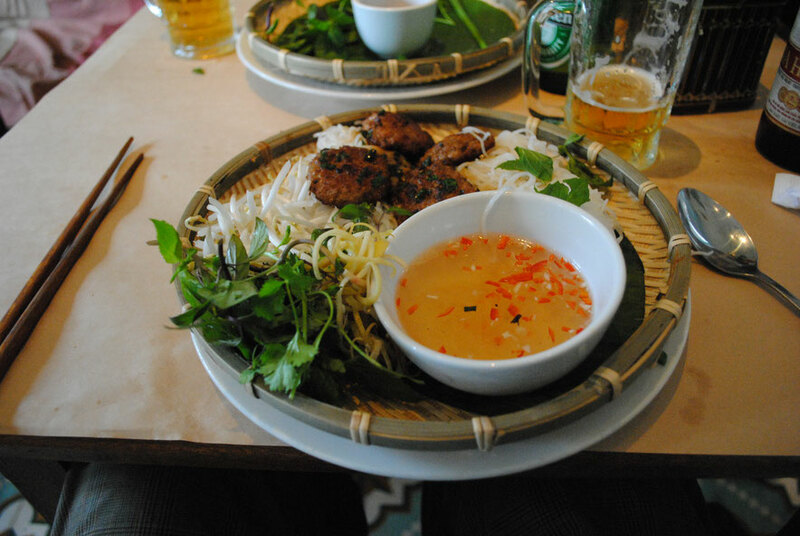 Vietnamese cha gio are served with lettuce, fresh mint and sweet and sour dipping sauce. You best eat your cha gio wrapped in the lettuce with mint and dipping sauce, I'm sure you'll agree they are scrumdiddlyuptious! A great, somewhat healthy snack for the kids. Have you eaten banh xeo? It's one of our favourite dishes to eat in Vietnam that you can find from local street vendors or at restaurants. 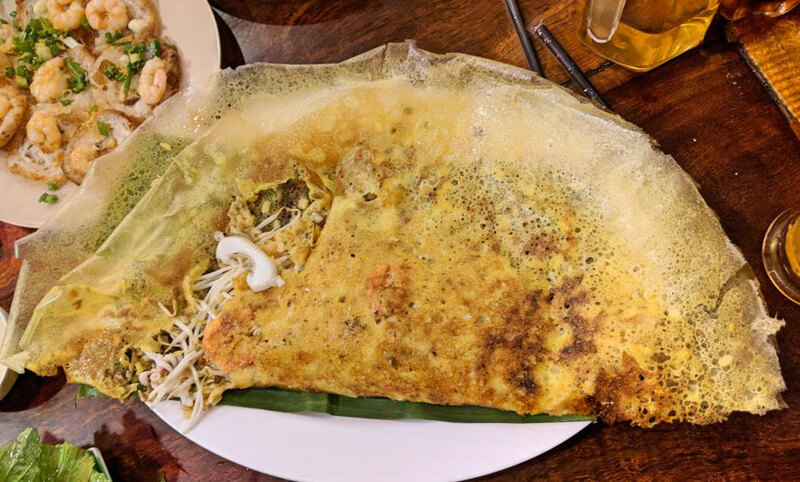 Banh xeo is a crispy, crepe like pancake made out of rice flour, cornstarch, coconut milk, and tumeric powder to give it the yellow colour. The filling varies from pork to seafood, and often includes bean sprouts and mung beans. The best way of eating banh xeo is with your hands. You'll receive a tray of vegetables (lettuce and mustard green) and herbs, so you'll eat the banh geo like a lettuce wrap. Dip your wrap in fish sauce and you'll have a delicious meal or snack. Each region of Vietnam has their own version of banh xeo so the sizes vary. The banh xeo in in Ho Chi Minh City are huge and are bigger than the size of the plate. We hope you try this on your next visit to Vietnam! So there you have it! The very best food in Vietnam! Is there anything you think we should add to the list?